West Ham United manager Manuel Pellegrini has revealed that he was interested in Besiktas midfielder Gary Medel last month. Sky Sports reported in December that the Hammers were considering a January swoop for the former Cardiff City man, and it turns out that there was interest from Pellegrini in his fellow Chilean. The former Manchester City boss admitted as much at his pre match press conference, as cited by journalist Sam Inkersole on his personal Twitter account. Pellegrini also revealed that the move broke down because it turned out it wouldn’t have been a free transfer. This is interesting. It certainly seemed as if the Hammers were looking to bring in another central midfielder given all the players in that position they were linked with. It makes sense, too, because the team are pretty light in that area. Besides Declan Rice nobody has produced consistently strong performances in the middle of the park this season. There also isn’t much depth, with only Rice, Mark Noble and Pedro Obiang available in central midfield at this moment in time. 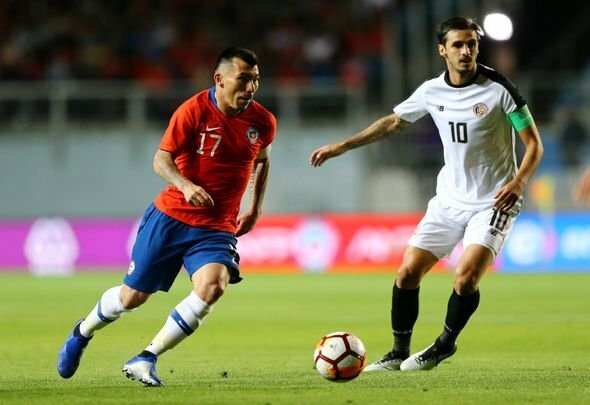 Medel would have been a nice addition in that sense, but honestly, it’s really not a bad thing that this move didn’t work out. The Chilean is a veteran player but he is past his prime and offers very little from an offensive point of view. Rice is already light years ahead of the Besiktas man, making his signing kind of pointless. There will be no tears in East London about this one.